Bigger isn’t always better, as they say, and that certainly seems to be the case with Hotline Miami 2: Wrong Number. 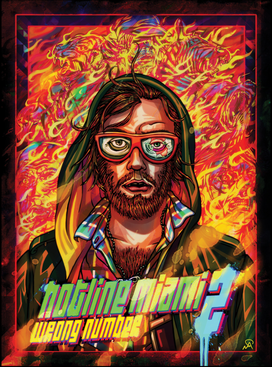 This game actually started off as an expansion for its predecessor, the highly praised and often misunderstood Hotline Miami, but became so grand in scope that the developers sought to make an entire sequel of it. What started off as a good idea in theory must quickly have become a daunting task for Dennaton Games, who then had to take the simple 'one-hit and you’re dead' mechanic to the extreme, and ended up creating a sequel that overstays its welcome as a consequence. So where did it all go wrong? Well, definitely not in the controls, which are just as twitchy as ever. The keyboard controls character movement, while the mouse controls your aim, making for a versatile but familiar set up. The lock-on feature is also back, allowing you to click your scroll wheel whilst hovering over an enemy to lock onto them indefinitely (a useful feature for the majority of the game). 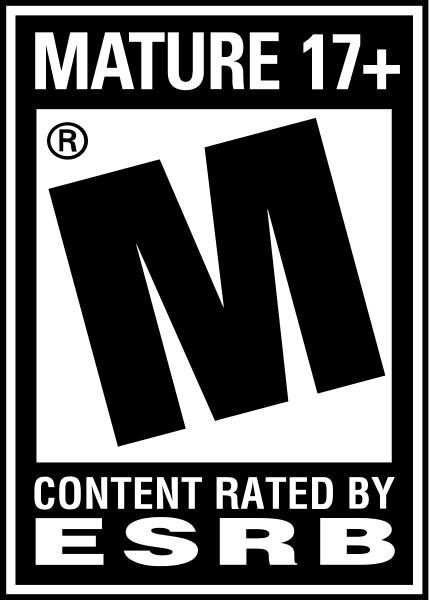 And it's a good thing the controls are as precise as ever, because when the going gets tough precision becomes paramount; enemies will launch at you faster than you can react in most cases, meaning you’ll need either a quick trigger finger or a nice bit of luck to help you through the game's 24 acts. Unfortunately the level design can be atrocious at times. Not every level is terrible - far from it, some are certainly enjoyable - but many are set up with so many windows, and multiple instant deaths, that it feels unfair on the player. This is compounded by the new way in which you can go from one stage to another, with hallways or doors acting as entrances to a new stage, which puts you right in the firing line the second you enter the next level. Some will welcome this - it is a series built on a foundation of ridiculous difficulty after all - but when enemies can shoot at you further than you can possibly see them, even when using the shift key to extend your line of sight, it makes for an incredibly frustrating gameplay experience and feels like an oversight on the developer's behalf. Considering that Hotline Miami's success depends entirely on its level design, these flaws came as a huge disappointment to this particular reviewer. The main campaign takes over 8 hours to complete, which means you’ll certainly be getting your money's worth, albeit at the potential cost of your patience and sanity. The extended campaign length is achieved via a highly convoluted narrative, one which has you jumping forwards and backwards through time, playing as different characters with varied attributes and abilities. Character variety is good, but the forcefulness with which the game makes you play as different characters can be annoying at times, with player freedom being replaced with developer's best intentions. For the most part this actually works as intended. In Hotline Miami, for example, I rarely if ever replaced my mask, even when I had unlocked them all, but Hotline Miami 2 forced me to look at levels in new and interesting ways by mandating the use of different characters. Weapons have been given a slight overhaul, with some characters dual wielding both a melee weapon and a gun if you right click the mouse. There does seem to be more of a reliance on guns this time around though, with enemies hidden throughout stages that are not accessible with melee weapons, ensuring that a quick pick-up of a gun is in order. To compensate for this, Dennaton Games has also introduced new foes that are immune to gunfire, ensuring you occasionally need to wield a baseball bat. The soundtrack - a highlight of the first game - is absolutely incredible once more. Whilst the level design frustrated me at times, forcing multiple restarts because of nigh-on impossible enemy placements, the stellar soundtrack made the whole experience much more bearable. Dennaton Games really deserve a pat on the back for this, as they’ve now managed to craft two successive titles that boast some of the best music in the industry. I've been quite critical of Hotline Miami 2 in this review, but if you’re a die hard fan of the original then you may well be willing to overlook a number of these criticisms. A convoluted storyline designed to pad out the game's length and some questionable level design which departs from the series' 'tough but fair' appeal makes this title weaker than its predecessor, but yet another sublime soundtrack, larger, even more brutally difficult stages, and a finely tuned gameplay experience helps to somewhat salvage things. This review is based on a digital copy of Hotline Miami 2: Wrong Number for the PC, provided by the publisher.